W. Michael Strickland was born in Claxton, Georgia. He was admitted to the Georgia Bar in 1973. He is a 1966 graduate of the United States Military Academy, West Point, New York. He is a 1973 graduate of the University of Georgia School of Law. Mr. Strickland is a member of the Piedmont Circuit Bar Association and served as the association’s President in the late 1970’s. He is a member of the State Bar of Georgia. 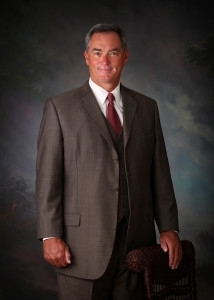 Mr. Strickland’s practice areas include Real Estate Law, Corporate Law, Wills and Probate. Following his graduation from the U. S. Military Academy, Mr. Strickland was commissioned in the Regular Army where he served four years (June 1966 – September 1970), one year of which was served in the Republic of Vietnam. Law School has been followed by a long career as an attorney in rural Georgia, where he has developed his transnational practice with an emphasis in Real Estate Law, Wills and Probate. 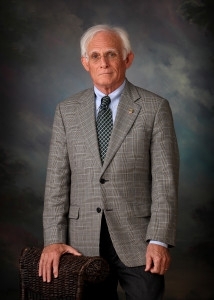 Mr. Strickland has been a resident of Barrow County, Georgia, where he has practiced Law for the past 39 years. He has served his community as a Municipal Court Judge from 1980 till present. W. Michael Strickland is experienced in drafting Wills with the utmost attention to detail. He also helps complete Advance Directives for Healthcare to ensure that you can leave directions for your loved ones in the event you become ill and cannot speak for yourself. W. Michael Strickland provides full representation in the handling of administering estates, either with or without a Will. His services include, but are not limited to, completing the appropriate petitions, filing of petitions in the appropriate county and assisting the personal representative with matters related to carrying out their duties related to the estate. He also deals with getting the personal representative discharged when all duties have been completed. W. Michael Strickland can assist clients in their initial formation of corporations and limited liability companies, ensuring documents are filed correctly with the Secretary of State and preparing the documents required to get a new company up and running. John Lindsay has over 25 years of experience as a lawyer. John is not afraid to take on the toughest and most complex cases. A severe injury or death of a family member can drastically affect your health, job, family and future. When an injury results from someone else’s negligence, you deserve compensation. You need an experienced and aggressive attorney to fight for your rights and go head-to-head with the insurance companies to win fair and full compensation to help pay for your recovery.